I suspect that this story will be repeated over and over during the exploration of our solar system. Interesting analogy. I suspect Leif Ericson's followers would have stuck around longer on Vinland if it had been uninhabited (and if they had, it might have become an alternative when the climate in Greenland became untenable). The sagas indicate that the 'Skraelings' gave the settlers significant trouble. "Leif's colonization effort was shortlived - mostly due to short tempered Vikings"
Actually Vinland strikes me as one of the interesting 'What ifs' of history. 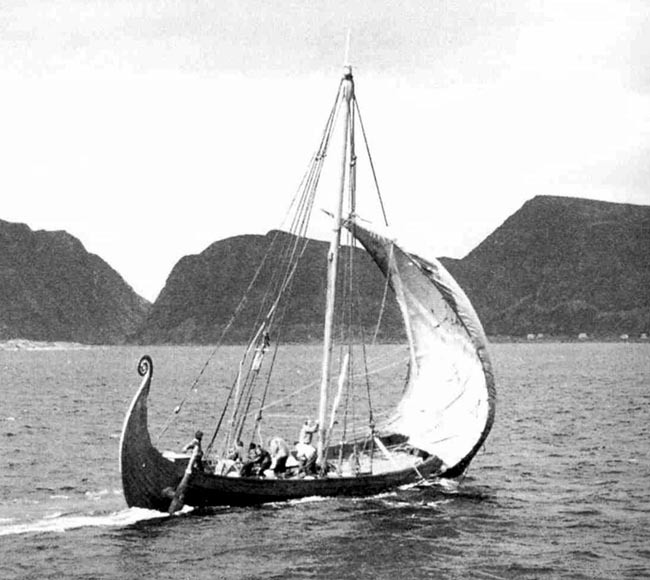 Suppose the 1st few Greenland Norse to visit Vinland had been sufficiently even tempered to develop a trading relationship with the 'Skraelings'. So in this alternate there is a small trading colony that develops a mixed Norse & native population that knows iron working & agriculture & this mixed culture slowly spreads into N. America. Meanwhile there is modestly greater ship traffic between Greenland/Vinland & Europe because the combined colony has more stuff that is worth the cross Atlantic trade. This results in Eurasian diseases hitting the Americas one every few decades over centuries rather than all at once. So there is never the overwhelming depopulation that results in almost total replacement of the 'native' population by immigrants from Europe. Overall a much better outcome for the Amerindians. "the Norse colony in Greenland that ultimately failed, its life support technology overwhelmed by the Little Ice Age." The Inuit did just fine during the Little Ice Age. To me this suggests that we may not want to standardize our spacecraft life-support designs too quickly. 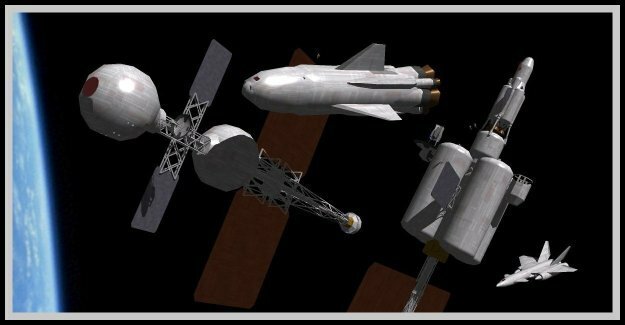 A few decades of failed, conflicting, experimental systems will probably work out for the best in the long run. Drawing on your earlier analogy of the Apollo Program and Ericson's venture: both were politically motivated. For the Norse, it was a show of power, in a sense. They were trying to extend their reach, a wannabe Empire that never quite materialized. Vinland collapsed when the conditions were revealed to be far more hazardous than envisioned, and that colonizing a wilderness was a far more demanding project than, say, raiding established nations for plunder. But did it, really, fail? In his days, certainly, he would've been deemed a failure. Like today, perhaps, we view Apollo as a failure, because we didn't stay? But from a historical perspective, it was a success. We look on Leif Ericson's venture as an achievement, of sorts, at least a testimony to the exploratory spirit of mankind if nothing else, especially considering the levels of technology. Much like, today, we look at the Apollo spacecraft, perhaps? A Gameboy, a system that is considered obsolete nowadays, had more computing power than the Apollo craft. The old computers could be said to be the equivalent of a Drakkar to Columbus's Carrack and Caravels. Similarly, today we can establish outpost in parts of the world with weather far more sever even than Terre-Neuve during the mini ice age. Want it or not, technology is a major factor in creating a colony. The jump in technology required to go from a short-term exploratory mission to a full-fledged colony is not insignificant. But the initial experiment at least serves as proof of concept. Around 40 years have passed since the Lunar landing? A pittance in any historical perspective. Yet in that same time our technology has progressed far beyond what it was then. Really, Neither Apollo nor Ericson's colony were failures. They were tremendous successes, limited by technology, but enlightening in their own way. "It can be done," these successes tell us. And that is more than enough, it is everything. "...and, from his Genoese perspective, poke one in the eye of the Venetians". I hear that's how you make a Venetian blind. Interesting analogy, although Skraelings are a bit scarce in space. Reading a book about the Falklands War awhile back, I remember thinking the that South Georgia's history of temporary whaling and weather stations perhaps translated fairly well to space (although, obviously, the resource being exploited wouldn't be whale oil...). The other brit south atlantic possessions - Ascension, Tristan de Cunha and St. Helena likewise offer some interesting possibilities. My impression is that relations with the Skraelings were mixed, not unlike 600 years later, and would not have rendered settlement impossible. But there just wasn't a reservoir of settlers to draw on. Greenland was already an outpost of an outpost. Here's where I'll differ from Jean. I would say that Leif's problem was that his voyage was not political - all he had behind him was a couple of villages in Greenland. For comparison, remember that there was no English colonization for 100 years after Cabot and Ameryk. No political interests were engaged, or big economic interests. I wonder if Canute ever heard of Vinland? I would guess that he did; well informed Vikings probably followed this stuff. He was a guy who could have made things happen, but he obviously had other fish to fry. Vinland may have been on his map, but it wasn't on his radar. An excellent comparison and food for much thought.